Detonate the groups of 3 or more same gems. The bigger the group, the larger the bonus! When you pop them, everything above or around them collapses in on them. 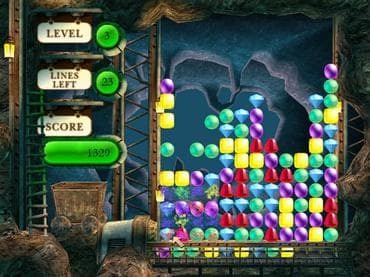 You can play two different modes in Gem Mine, each with it's own, unique style! Free Game Features: - Family friendly game; - Two game modes: arcade and puzzle; - Unique power-ups; - 30+ levels and bonus levels; - Load/save game option; - Game statistics; - Free full version game without any limitations. If you have questions about Gem Mine Puzzle game, please contact us using this form.